We all know that many competitive cyclists use drugs to boost performance. With each major competition, pressures placed upon contenders, whether real or perceived, increase. Couple this with the enormous physiological and emotional demands of tough competition, and it is not difficult to see why generations of cyclists have succumbed to temptation and decided to use performance-enhancing substances. Advances in pharmacology and medicine have dramatically increased the availability of drugs with performance-enhancing (or ergogenic) potential, with cyclists among the most avid – although by no means exclusive – ‘guinea pigs’. What perhaps is not so widely appreciated is that a majority of these agents have legitimate clinical uses. For regulatory bodies such as the World Anti-Doping Agency (WADA), this has often presented problems for potential blacklisting. Is there such a thing as a minimum acceptable level in the body fluids of a competitor? At what dosage does the agent become ergogenic? What about patterns of treatment and usage? The situation is compounded further by widespread co-administration of ‘masking agents’. These can aid the athlete in evading detection during routine or spot checks, usually by increasing the rate at which the drug (and its breakdown products) are eliminated from the body. So what are these agents? How do they produce their effects upon the cyclist’s physiology? Here is a concise and informative account of the major drug classes in common use. These drugs are among the most commonly used by cyclists, with usage going back to the origins of competitive racing. Early competitors in the Tour de France often made use of ‘la Moutarde’ (water bottles full of cocaine solution) or ‘la Bomba’ (amphetamines). Controversially, WADA has removed caffeine – the most widely used stimulant – from its 2005 prohibited list. There are relatively few legitimate medical uses for stimulants. Cocaine is occasionally used as a dental anaesthetic, while amphetamine and methylphenidate are used in the treatment of disorders of alertness, such as narcolepsy and attention deficit hyperactivity disorder (ADHD). All stimulants have effects in the brain (central) and body (peripheral). Differing only in potency and duration of action, all these agents bring about enhanced alertness, an increase in blood pressure, heart rate and depth of respiration. The central effects also mean that the user will be able to partially offset the effects of tiredness. Stimulants may also increase the competitor’s pain threshold, allowing that extra push beyond their usually maximal effort. Stimulants do not need to be taken chronically prior to an event, and have mainly immediate effects. However, controlled drugs such as amphetamine and cocaine are commonly chronically abused and this can lead to dependence. 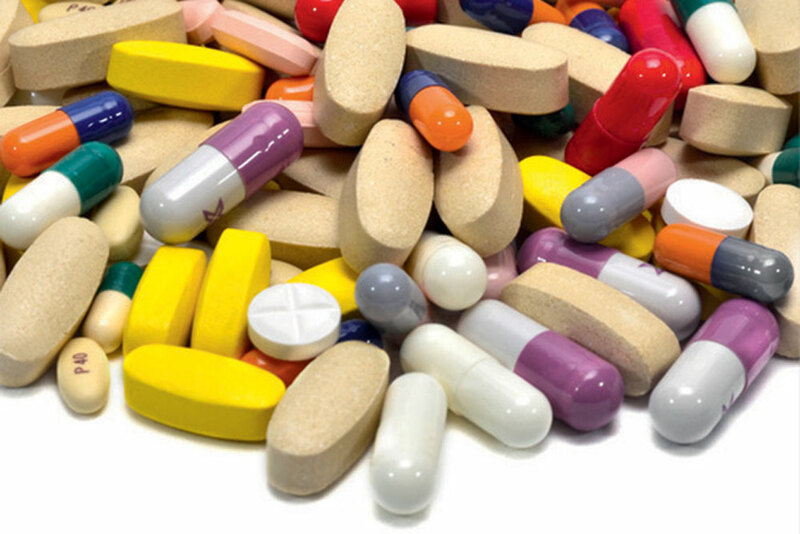 Stimulants are available in a variety of forms, with tablets the most common. Occasionally, cocaine is administered by intravenous injection, but is most commonly snorted, such that it passes through the delicate membranes lining the nose and rapidly into the bloodstream. In general, stimulants have a relatively short duration of action, again largely dependent upon their route of administration. For example, a dose or ‘hit’ of cocaine will produce its maximum effects in minutes, which begin to wear off after about 20 minutes. Amphetamine, especially if taken in tablet form, has a much longer-lasting effect, users generally feeling ‘wired’ or unnaturally alert many hours later. Are they used with anything else? Cyclists will take stimulants both singly or as a cocktail of several related drugs. There seem to be no rules here, although stimulants may often be taken alongside longer-term ‘therapies’, such as steroids, EPO and growth hormone. The rationale seems to be that these other agents can provide the ‘fuel’ for performance, while a stimulant provides the ‘ignition’. These can be very serious indeed and generally relate to dose and duration of usage. Large doses of caffeine can induce convulsions and anxiety attacks. More seriously, long-term amphetamine and cocaine usage often results in addiction and dependence. In overdose and most particularly when a competitor has become dehydrated, physical side effects can be life threatening. These can include stroke, heart attack and hyperthermia (dangerous increase in body temperature). Hyperthermia following amphetamine ingestion almost certainly killed Tom Simpson on Mont Ventoux in 1967. Some evidence suggests that chronic stimulant abuse was a contributory factor in the death of 1998 Tour de France winner Marco Pantani. PROBABLY the most infamous group of agents used by athletes, these are a mixture of synthetic and naturally occurring agents, which have a variety of complex physiological effects. The medical uses of AAS are focused on treatment of glandular or endocrine disorders, including disease of the adrenal glands and osteoporosis in women. Men can be treated with a testosterone derivative as replacement therapy following recovery from testicular cancer. In addition to correcting endocrine problems, these drugs encourage development of masculine features, including increased muscle bulk and power output, changes in fat mass and distribution. Psychological effects mean that the cyclist will become more competitive, aggressive and fatigue-resistant. Unlike stimulants, AAS are taken chronically since they do not have immediate pharmacological effects. They must be taken over a relatively long period in order to produce significant effects on performance. Usually, a progressively increasing dose of one or more AAS is taken many months prior to competition – a process known as ‘stacking’ – with a reduction in dose a month or two before an event. This latter strategy is an attempt to reduce the chances of detection (the urine will contain an excessive amount of the AAS metabolite epitestosterone, compared to levels of testosterone), while the benefit to the cyclist’s performance persists. AAS are available in a variety of formulations, but are most commonly taken in tablet form or injected. Worryingly, the doses often used are far in excess of those deemed safe for treatment of medical conditions. These drugs work at the level of the gene and exert long-term alterations in the way some genes are expressed by cells. The physiological effects of treatment, therefore, are generally long-lasting: increased muscle bulk, strength and speed are often still evident many months after a course of treatment has ceased. In some cases, these changes may even become semi-permanent. Typically with stimulants (during an event), EPO and/or growth hormone. Stacking of several AAS is also common practice. Given that these agents actually alter how a whole range of genes work, it’s perhaps not surprising that the potential side effects from long-term AAS usage are wide-ranging and serious. AAS greatly reduce ‘good’ cholesterol, in favour of ‘bad’. This means that long-term users are at much higher risk of suffering a heart attack or stroke. Blood pressure is also abnormally high, further increasing the risk of stroke. Since these drugs are androgenic (that is, mimic the physiological effects of the body’s own testosterone), female users can become masculinised, with the development of male sexual characteristics (for example, facial hair, coarsening of the skin, shrinkage of the ovaries), while in males, excessive amounts of AAS are converted into oestrogen-like compounds – this can lead to breast development. Psychological effects of AAS usage can result in permanent and alarming changes in personality. These agents are relatively new on the cycling scene, with EPO in particular having received much media attention in recent years. All of the examples given here are manufactured as artificial substitutes for hormones that occur naturally in the body. They therefore mimic the action of these hormones in controlling a number of important physiological processes. A variety of medical uses exist for these drugs. EPO is used to help treat a low red blood cell count (anaemia) in patients with severe kidney disease; hGH is given to correct growth retardation, mainly in children of abnormally short stature; insulin is used to replace the naturally-occurring hormone in diabetic patients, where it helps regulate normal blood sugar and fat levels. EPO mimics a natural process, whereby the release of the body’s own hormone from the kidney is stimulated in response to a fall in the amount of oxygen carried in the blood. For example, this might be caused by ascending rapidly to a high altitude (where the air is thinner) or as a result of excessive blood loss. Whatever the stimulus, EPO acts upon cells in our bone marrow to stimulate the production of new red blood cells. It’s these cells that are responsible for the transport of oxygen from the lungs to the tissues. So, a fairly simple relationship exists: more EPO in the blood, more red blood cells (higher haematocrit), equals more oxygen for hard-working muscles. On the other hand, hGH is a hormone produced by the pituitary gland, which is essential for normal growth in children and assists the body in building muscle and bone. IGF-1, so far, has no legitimate medical uses and appears to work directly at the level of tissues (particularly muscle), where it stimulates an increase in protein synthesis and fat metabolism. Aside from its well-known effects upon blood sugar in diabetic patients, insulin, in common with hGH and IGF-1, has anabolic effects upon mainly muscle tissue. Ultimately, all three agents can bring about an increase in muscle bulk and strength, together with reduced fatigability. Cyclists now seem to favour this method of boosting performance over almost any other. Athletes may illegally use hGH in combination with AAS in an attempt to increase muscle bulk and strength. In common with AAS, all peptide hormones require relatively long-term administration to gain significant performance enhancement. 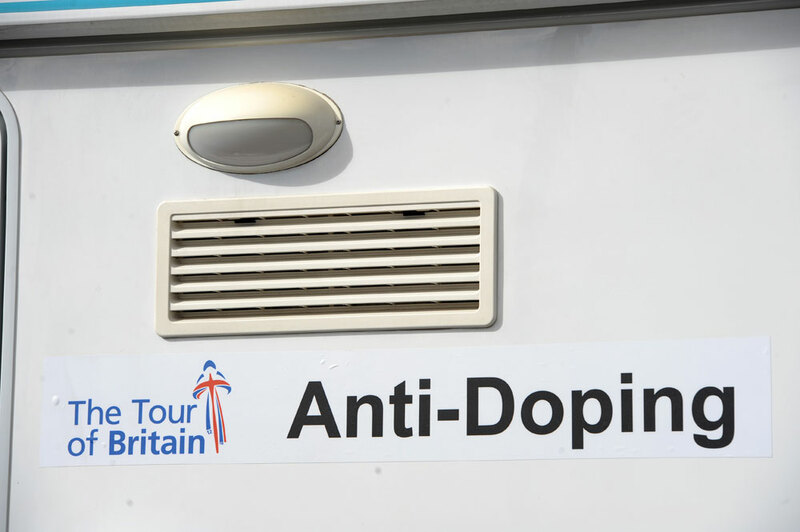 Again, a form of ‘cycling’ dosages will be used, to minimise the risk of samples proving positive for the banned substance during or immediately prior to competition. The efficiency of detection methods for these agents is still in question, the essential problem being that it is technically difficult to distinguish the individual?s own hormone from that which has been taken ?therapeutically?. All peptide hormones are proteins. This means that they are broken down by the acids in the stomach, in much the same way as proteins in food during digestion. This means that they must all be administered by injection, usually into a muscle or under the skin. Again, in common with AAS (and one of the factors which makes these drugs attractive to the competitor), the anabolic effects of all these are relatively long-lasting. Insulin when taken legitimately for the treatment of diabetes, has quite a brief action on blood sugar levels. However, the pattern of administration adopted by someone seeking performance-enhancing benefits means that the level of the drug in the blood is almost constantly raised. This will tend to maximise the anabolic actions of the drug. EPO produces a rapid increase in haematocrit (sometimes as much as 60 per cent; normal range 45-50 per cent), with measurable increases still evident four months following withdrawal of the drug. This is because new blood cells have a lifetime of about 120 days. Just as with AAS, stacking is common with peptide hormones; competitors often mix and match a cocktail of agents. During an event they may also supplement this regimen with a stimulant. Persistent usage of these drugs can lead to some serious and life-threatening side effects. Insulin, if taken in overdose, can cause a fatal fall in blood sugar levels (hypoglycaemia), leading to coma and eventually, cardiac arrest. hGH also acts upon tissues other than skeletal muscle, so dangerous enlargement of organs such as the heart, kidneys, liver and spleen is common. This can lead to organ damage in the long term. Perhaps most infamously, EPO usage has been associated with the deaths of a number of cyclists. A greatly increased haematocrit, while enhancing the oxygen-carrying capacity of the blood, has one major disadvantage: more blood cells in the same volume of blood equals ‘stickier’ blood. Dr Chris S. Biggs is senior lecturer in physiology and pharmacology at the University of Westminster.